Today’s blog comes from Tori Gleeson, a student from Georgia College. 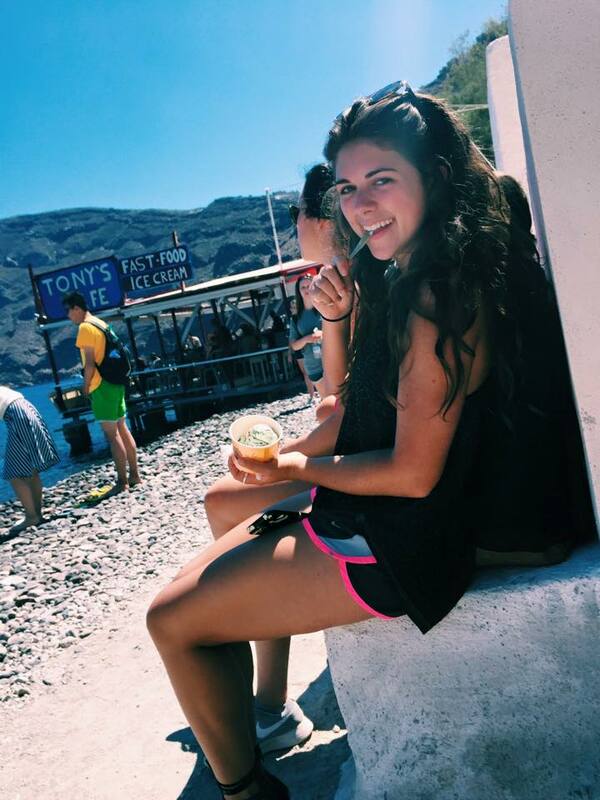 Read about her journey of self-discovery through moments big and small while attending LEAD Greece! Before coming abroad, I looked forward to my defining moment. I anticipated this climactic instant in time when suddenly I would be a changed woman with a story to tell when I returned home. Now since being in Greece for the past three weeks, I have come to the conclusion that there really is no such thing–at least not for me anyways. Instead, my entire experience abroad has been a defining moment. I thought I knew myself so well before hopping the pond, and now that I’m here, my eyes have been opened to a whole new world. I guess the most exciting part of this all is that I won’t be returning with just one story to tell and that I have completely fallen in love with this new sense of individualism that being abroad has surfaced within me. I’ve learned important things about myself like will I be the first to speak up in a group of people if I know what the right answer is, or will I stay quiet until someone else thinks of it? Was I the type of gal to negotiate prices with the retailer when I wanted to buy something at the market, or was I willing to pay lots of money for something just to avoid confrontation? Did I have a genuine interest in the people and culture I was surrounding myself with or did I feel more comfortable as an outsider looking in? To quickly answer these hypotheticals so I don’t leave you hanging: yes I will speak up; yes I will negotiate; and yes I have a genuine interest in Greek culture and the amazing that people live in this country. These examples of little or big decisions that I make on a daily basis continue to define who I am, and I find comfort in knowing that my time spent here in Greece has only made me embrace that even more. You never truly know how you will react in a situation until you come face to face with it. You can spend all day dreaming of what-if scenarios, but not until you experience something will you actually know what your attitude will be like and how you will act or react to it. I’ve kept this in mind while seeking adventure on this trip. I’m sure most of you know that we had the opportunity to bungee jump off of a 250 ft. bridge over the Corinth Canal. What many of you probably don’t know though is that I am extremely terrified of heights. It’s been one of my biggest fears ever since I was little. But the cool part about this experience is that I made a promise to myself that I would face my fears and jump without looking back. And now reflecting on this moment, I am proud to know that I am perfectly able to keep and follow through with promises to myself and I can conquer my fears. That experience alone was a true test of faith and defined that I won’t be held back my fear or discouraged by uncertainty. As my time in Greece is nearing its end (which makes me want to cry even thinking about it), I know that the opportunity to change and define who I am will not. Thank you LeadAbroad for facilitating new growth in a very defining period of my life. We have all been given beautiful lives and throughout our lives we will be faced with more defining moments than one can probably count. Embrace them all with courage and know that no matter how big or small they may be, they are all significant.